This year, we’re taking you “Behind the All-Stars”, spotlighting select pieces on KDFC’s Top 100 Classical All-Stars Countdown with fun and informative blogs about the music you love. Clara Schumann, one of the leading pianists of the Romantic era, hit the KDFC Classical All-Stars Top 100 list for the first time ever this year. Perhaps it’s not surprising since she is far less known than her husband, Robert Schumann. But, when you look at her life – a study in contradiction – you’d think she ought to have been recognized as the maverick she was well before now. 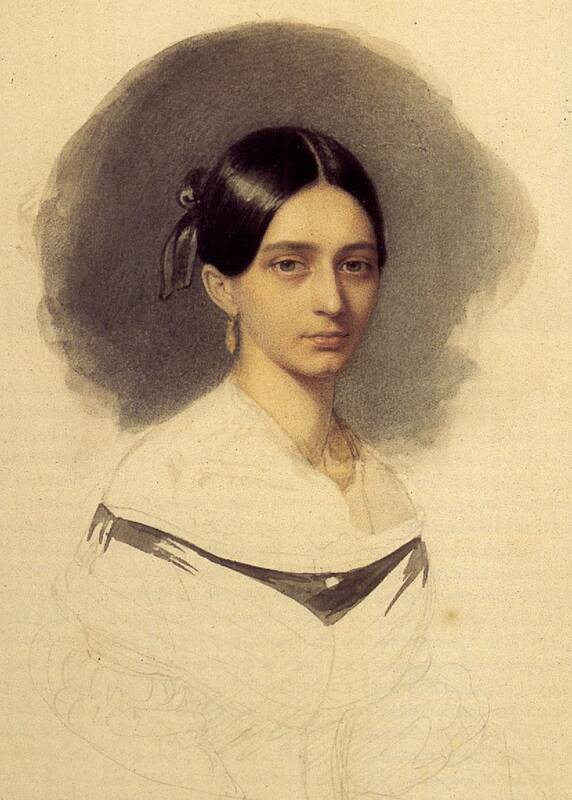 Through much of the 19th century, Clara Schumann (1819-1896), defied the norms set for the women of her day. Her demanding musician father started her on the piano at age 5, and she dutifully rose to prominence in the concert hall by the time she was 13. When she fell in love with her father’s student, Robert Schumann, her disapproving father tried to end the relationship by keeping Clara on the road for months at a time on concert tours all over Europe. But age 20 she rebelled, and she and Robert successfully sued her father for their right to marry. She was an enthusiastic composer in her teenage years, writing her Piano Concerto in A Minor, at 17. But, by age 36 she decided composing was not a woman’s role. Clara was a devoted wife, who somehow managed to keep up her own touring while raising eight children. At the same time, she put Robert’s career first, nurturing him through increasing bouts of depression and mental breakdowns AND putting his career first, acting as muse, collaborator, and champion…all while raising eight children! To find out more about Clara Schumann and hear some of her best-known works, look here. The Santa Rosa Symphony will feature Clara Schuman’s Piano Concerto in their upcoming concert series “Love Letters”, February 9-11, at the Green Music Center in Rohnert Park. Learn more at srsymphony.org.